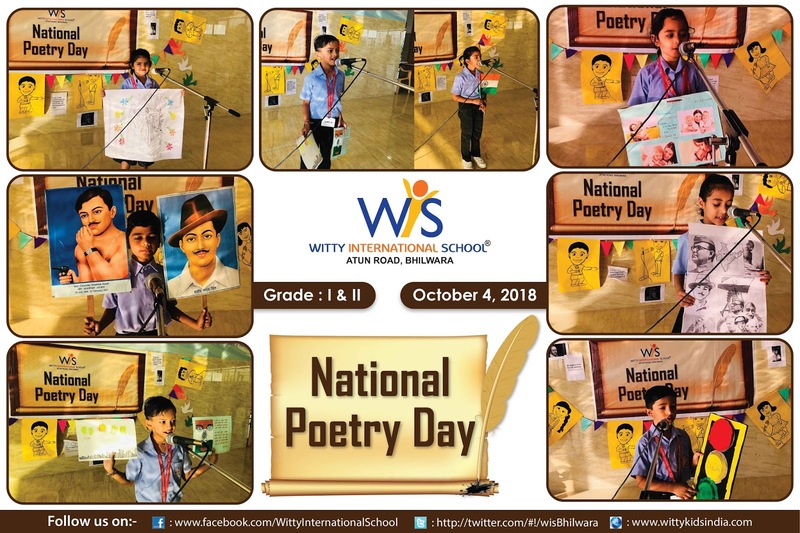 National poetry day was celebrated on Thursday, October 04,2018 at Witty International School ,Atun Road,Bhilwara. Students of Grade I and II participated in the special assembly held on this day. Students delivered speech and told about the significance of the day. They expressed beauty of expression, thought ,feelings, rhyme, rhythm and music of words through their poems. Through their poems students paid tribute to the famous poets like Rabindranath Tagore, Sarojini Naidu, Vikram Singh etc. Students' confidence on the stage was praiseworthy.